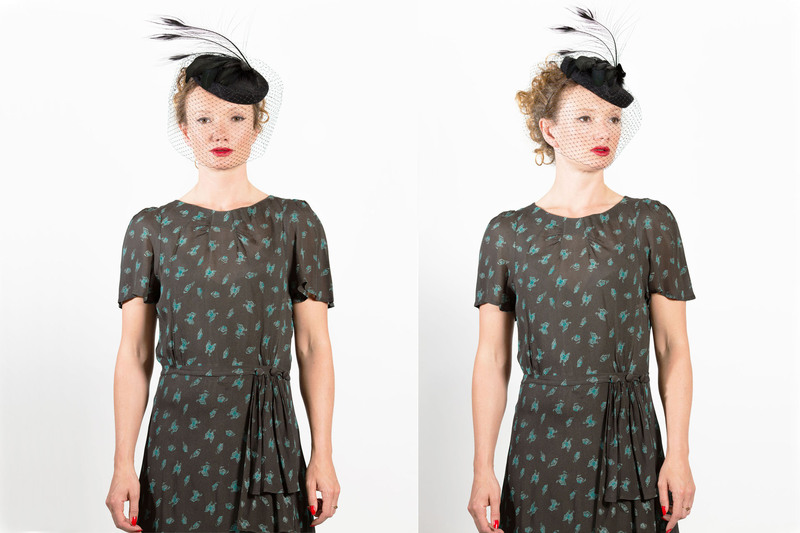 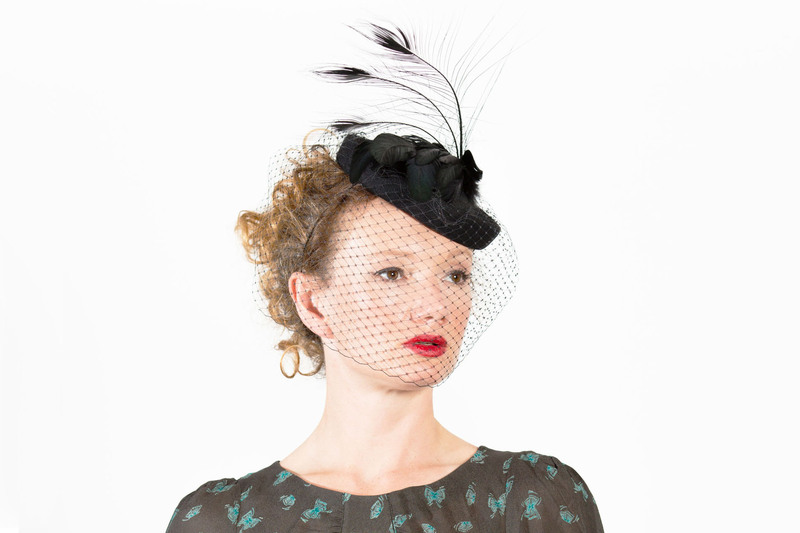 This felt 1950’s style Pillbox Hat has feathers and birdcage veil. 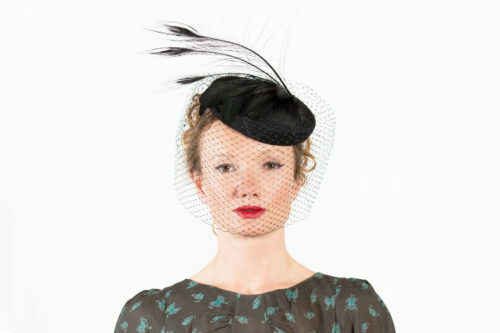 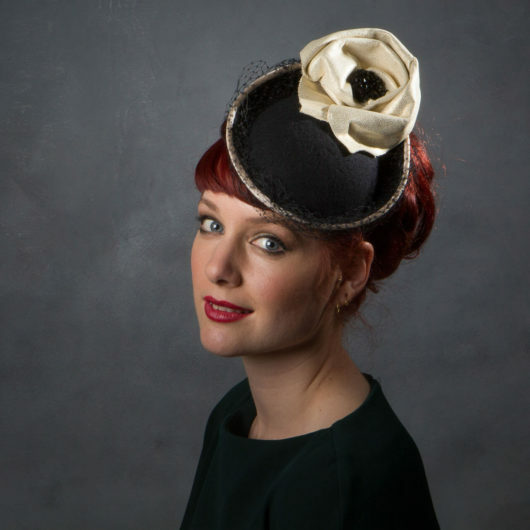 As a black hat, this could traditionally be worn for a funeral, but as it’s a 1950’s look, it could equally be paired with a smart 50s cut outfit and worn to a wedding, or evening event. 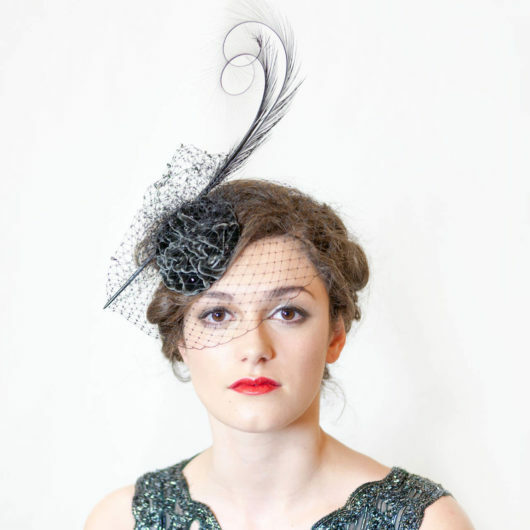 The full length birdcage veil gives a dramatic look. 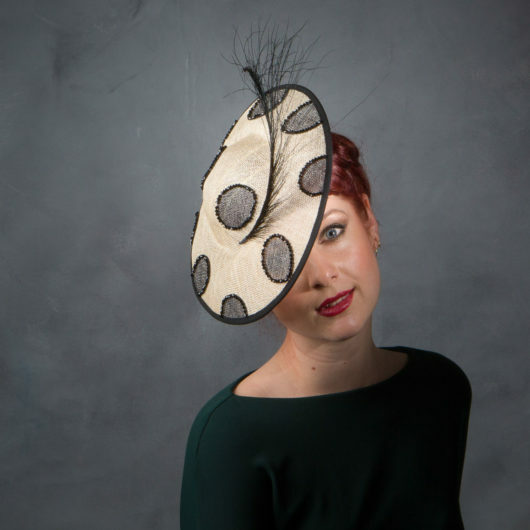 This hat was inspired by a scene in a Quentin Tarantino movie!